A completely new house is built behind the front wall of an old house. 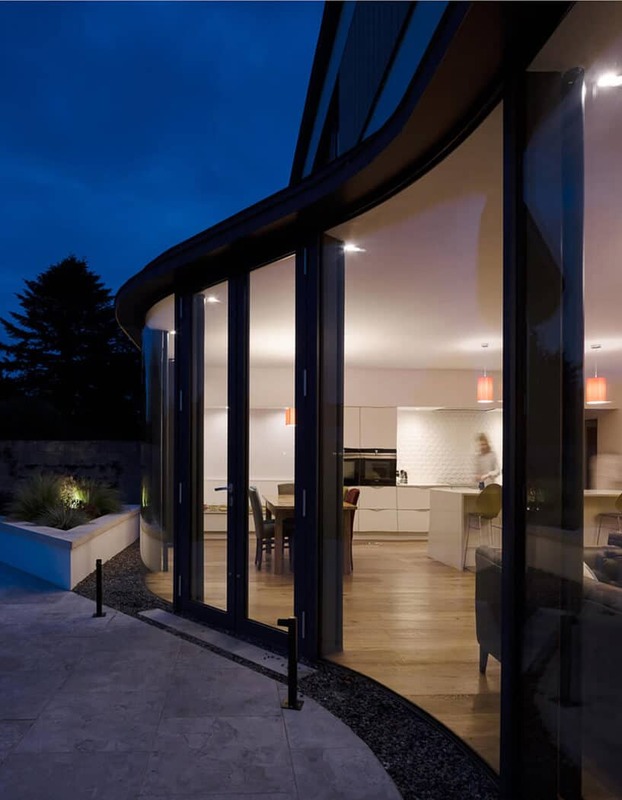 "David was our architect for a rebuild of an old run down property. He took all our requests on board and came up with a fantastic design. 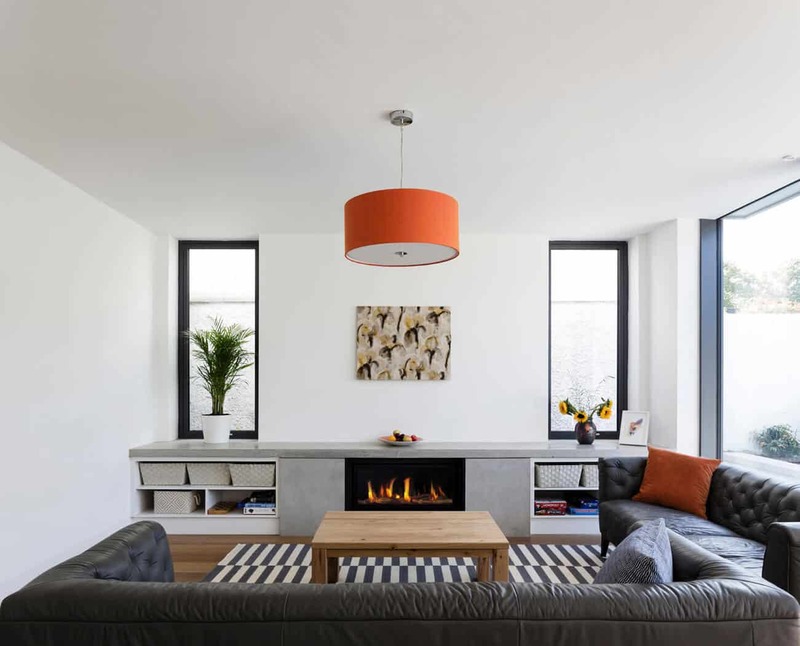 It feels airy and bright even in winter and works really well as a family home. He pays a lot of attention to planning every detail and we could not be happier with the end result!" 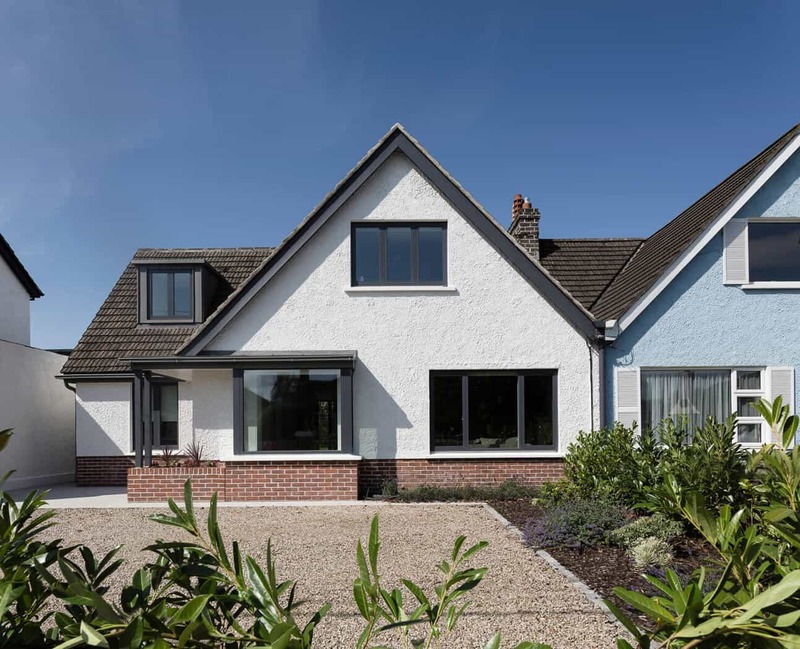 The old semi-detached dormer bungalow was four rooms deep and four rooms wide: a domestic labyrinth on a large, valuable and very wide site in Terenure. 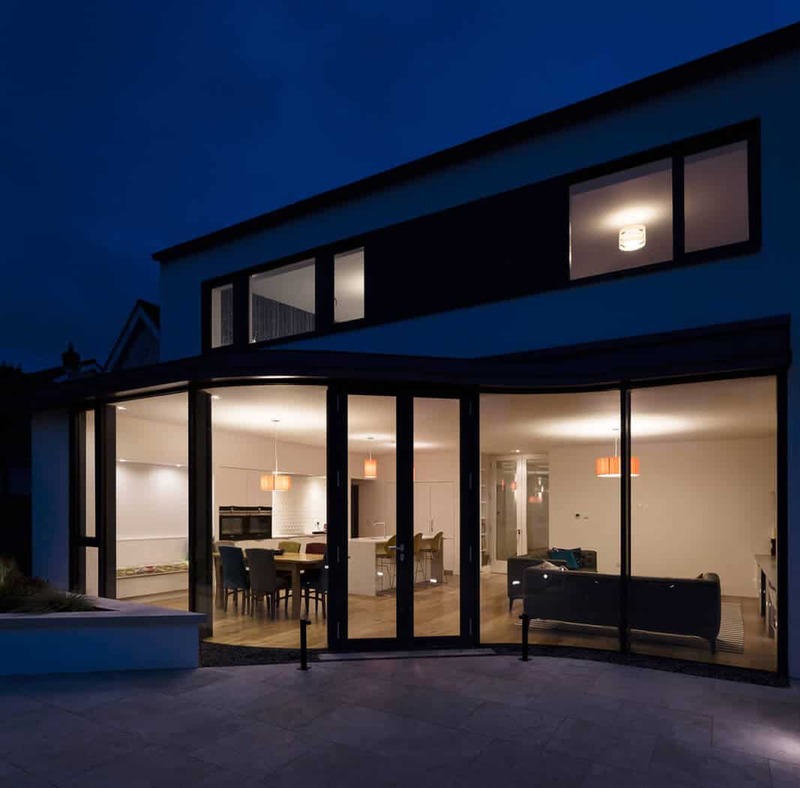 Early on it was realised that the most economical option involved almost complete demolition of the existing; retaining only the party wall and the front gable of the original house. 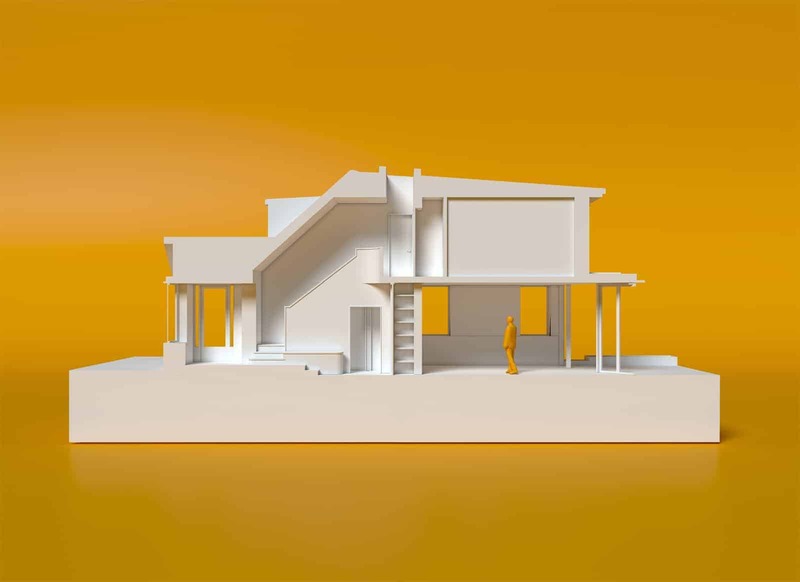 Behind this, and below the original bungalow's roof profile, a new two-storey highly efficient house was built. 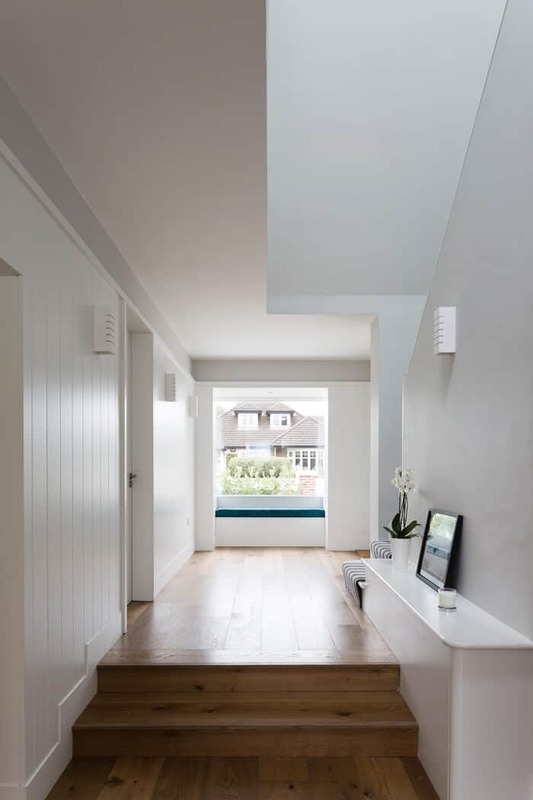 The new layout is centred around a dramatic toplit double-height hallway which bounces daylight around the interior. This leads to a large kitchen / dining / living area overlooking the rear garden. 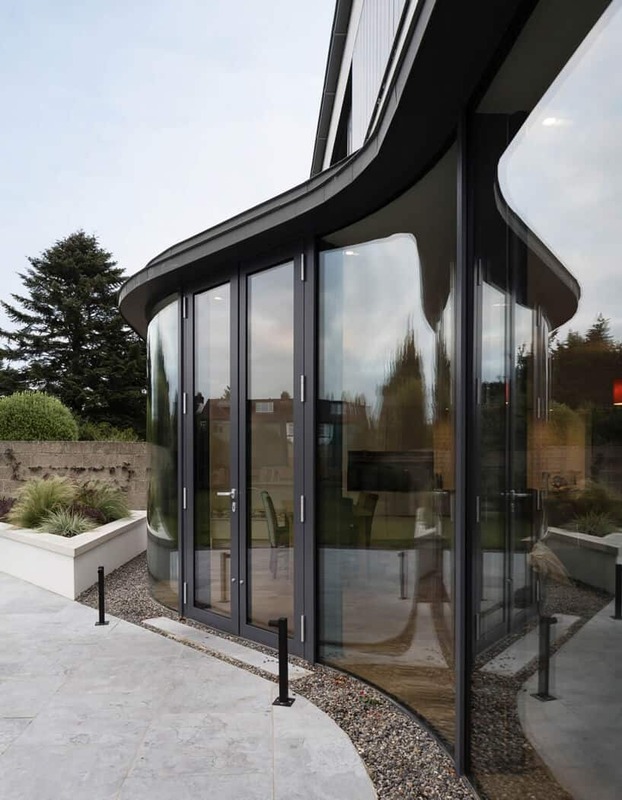 This new elevation is North-facing and one side pops out in a graceful curve to catch late afternoon and evening sunlight.